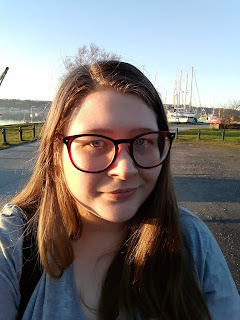 Day 4 of Blogmas brings you all a little treat. 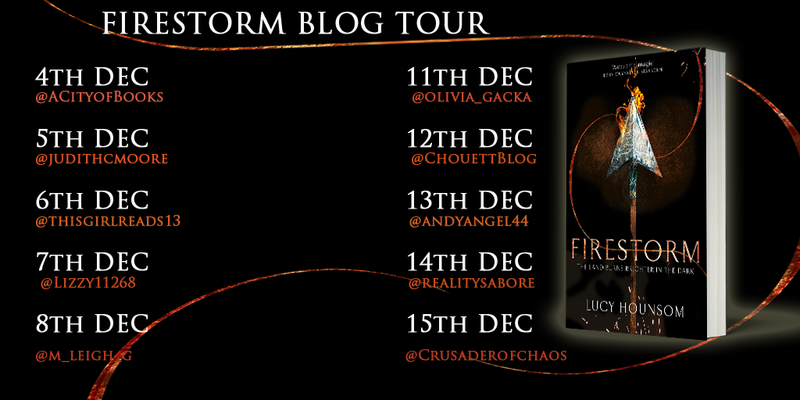 A blog tour! If she survives the ordeal, she'll discover a force greater than she could ever have imagined. But could it create as well as destroy? And can she control it, to right an ancient wrong? She was a being of light. Stars in her skin, power in her veins, her mind full of their names. She had but to call, to focus her will, and they would hearken to her. 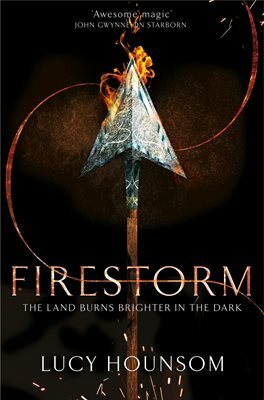 She clenched fists of molten fire and smiled, armoured in Tyr, shielded behind a field of force that clung to her flesh. She was a being of darkness too. There were no roads between the stars, only the void, lightless, unchanging. The chill emptiness, numbing her to any feeling, dwelt in the paths of her heart, and she could no more brighten them than she could the void itself. The curse of the Starborn, she thought. The price I paid for my power. The air rushed past her face; it was much colder up here amongst the clouds. Birds swooped and soared a safe distance away and the ground was a hazy blur. Kyndra half smiled. She leaned forward and scratched the dragon’s huge pointed ear. The scales were thinner there and warm, and she remembered a time when he’d stood close beside her, the rush of a stream in their ears, grass underfoot. He’d been human then. Not human, Kyndra corrected herself. She felt a faint ache at the memory, a distant regret. But what mattered was that Char – Orkaan – was now his true self, that he could carry them to Magtharda, riding the rising winds of an Acrean winter. Char’s voice was soft thunder; Kyndra felt it rumble through his body. She stopped her scratching. ‘He’s very bossy now,’ she commented to Ma and the woman snorted. ‘He always was.’ She slapped the dragon’s flank, though Char probably couldn’t feel it. They flew for another five minutes or so, while the colour of the sky deepened to purple. And then, without warning, Char tipped into a steep dive. Kyndra heard Ma shriek a curse; the woman had her eyes closed and was desperately clinging to the dragon’s back. The ground was rushing to meet them and it looked sharp. Splinters of rock poked up from the earth like the stony spines of an enormous beast. Char banked again and – not for the first time – Kyndra wondered whether he really had got the hang of flying. There was a surprised bleat, so loud and close that it made her jump. Char’s muscles bunched; he snatched at something, his sleek head darting out with the speed of a striking serpent. Then they were off, the dragon’s powerful wings sweeping them up and away from the rocks. Ma let out another stream of curses. Char’s reply was muffled. He briefly turned his head to look at them and Kyndra saw something woolly between his jaws, a goat. They landed on a high plateau, partially sheltered by wind-bent pines. The dragon crouched, letting Kyndra and Ma slide stiffly from his back. A second unfortunate goat was clutched in his front claws. He dropped it and, without further ado, began to crunch up the one in his mouth. Ma winced. Yay! 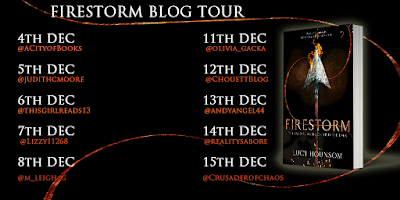 So excited to be part of this blogtour with you!